You're all shopped out, and your stomach is hollow. You feel like The Grinch and have stopped being fun. Without family and friends the true meaning is missed. and lucky for us Boston Pizza does too! With our family and friends that we all hold so dear. 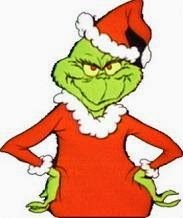 So while The Grinch has his Roast Beast! Boston Pizza has "The Ultimate Holiday Feast"! Their Holiday Menu Prix Fixe is a three course meal for one price, starting at $24.99. Prix Fixe: 3 courses for 1 fixed price! The Prix Fixe makes your meal what YOU want it to be! With a price starting at just $24.99, it makes a great deal! It's easy as pie to give these nom noms as a gift! Buy a Gift Card in store or online, it just takes a jiff! Share a BP Appetizer Platter with a friend or your wife! the Holiday Menu is only here till the 28th of December. Follow Boston Pizza on Facebook and Boston Pizza on Twitter for all their news and updates. Click here to find a Boston Pizza Location near you. Yep, Just me Cathy thinking out loud about Boston Pizza's Holiday Menu. Note: I was compensated for this post. All opinions are my own and reflect my personal experience with the brand and the product. I would go with my niece because we haven't spend much time together lately. I'd take my husband with me for a date night. I would love to take my Dad. He is always unselfishly helping me out.. fixing stuff around my house, being a strong role model for my kids, just being a great father & friend. He deserves a nice dinner out! Distance and work commitments have hindered a visit from my younger sister Debbie. Eight month Sis separation- ideally I would take my sister so we can play catch up. i have to take my daughter & husband, we don't spend time all together very often. food can bring us together though! I would take my husband for a date night. We rarely get out, so this would be nice. Thank you for the opportunity! My husband because we almost never get a date night with just the two of us! I would take my mom because it would be nice to have a night out with her. I would take my husband because we both like Boston Pizza. I would take my husband because he does most of the cooking and deserves a break! I would take my husband as we seldom go out to eat. I'd take my neighbours... We owe them a trip to BP! I would go with my best friend because we both love to eat. 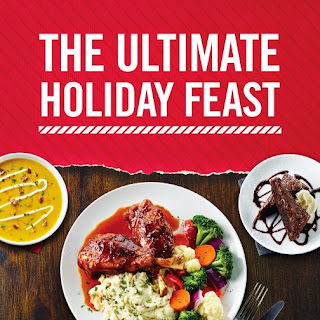 Boston pizza is delicious and we would love to try the new festive menu! I would take my wife as she is my partner in crime! I would take my wife because she deserves a night out where she doesn't need to cook and just enjoy the meal. I would take my hubby as we really need to reconnect during the busy holiday season. I would take my niece, her fav restaurant is BP! I would go with my husband - we are moving to a new city and we will only have each other (and the kids) to rely on in the coming weeks. This would be a nice treat! My Hubby...he has a Bday in Dec! I would take my hubby, so we could both have a night where neither of us had to cook! I would take my husband. He would love a free meal at Boston Pizza. I would take my niece and nephew. I don't get to see them often. I would take my mom with me because she deserves a break from cooking and to be treated to a meal out. I would love to share that awesome appetizer platter with my son!! I would take my husband because we rarely get out to eat without the kids and we both really enjoy Boston Pizza. I would take hubby cause we deserve a date night! I'd bring my Man because we both LOVE Boston Pizza but never get there often enough! I'd take my Mom when she comes into town; it'd be a nice treat. I would take my best friend so we can spend time catching up and enjoy great food! I'd take my husband and daughter - they're both pizza fiends! my son and my partner. I would take them because they love boston pizza and deserve a nice treat! I would take my best friend out...she works hard and deserves to be treated to a dinner. I would take my hubby - our birthday are both close to Christmas, and it would be a great treat!! We simply adore BP's. I would take my daughter - she's my favourite dining companion - great conversation! I would take my mom because she's a creature of habit and does not venture out and try new and different things even with her meals! So I think this would be a nice treat for her! I would share a BP Appetizer Platter with my husband. It would be a fun night out. My husband for sure. When we were dating we used to go to Boston pizza and share wings. It would be a sweet re-do date. I would take my husband because we haven't had a night out without the kids in a loooong time and we love Boston Pizza! I'd take my husband.. without the kids hahha! I'd take my whole family! I would take my husband because we haven't seen each other in over 4 months. I would take my sister because I haven't seen her for a while and she LOVEs pizza. I would take my husband, we dont get date nights often so this would be very nice. I would take my hubby for a night out! I'd take my hard working husband! 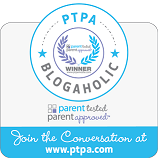 I'd take my kids because they are awesome! I would share it with my husband. The children would be invited too and they would enjoy pizza of course. I would take my daughter because we enjoy sharing a meal together and we would get some one-on-one time! I would take my hubby, we need some time together. Date night with my husband! I'd take my best friend Sarah because she is always treating me to movies and things. This would be a nice thing to treat her with! I would take my husband Peter because he's been there for me through the hardest of times. I would take my kids because they are good and deserve it. I would take a friend from work, because I owe her a night out. i would take my family out for dinner. I would share it with my wife. I would take my boyfriend as we have not been on a date night since April 1st. I would take my husband! I would take my hubby and son ! I would take my husband & son- don't get to spend enough time with them! I would take my son Jimmy, he loves Boston Pizza! Hi Cathy, I would take my girls to Boston Pizza, they've been asking to go over the holidays. Thanks for the chance to win & Merry Christmas to you! I would take my husband....we hardly ever have date nights and have really enjoyed Boston Pizza whenever we go. I would take my family, with four kids we don't get out as much as we'd like! Bailey dexter I would love to take my daughter & her family when they fly in for the holidays! I would go with my hubby and kids. We could use a night out. My other half, for his birthday! I'd take the Grinch!!! I hear he's branching out from just eating Roast Beast. I would bring Nathaniel (my boyfriend) because he is amazing and loves food!